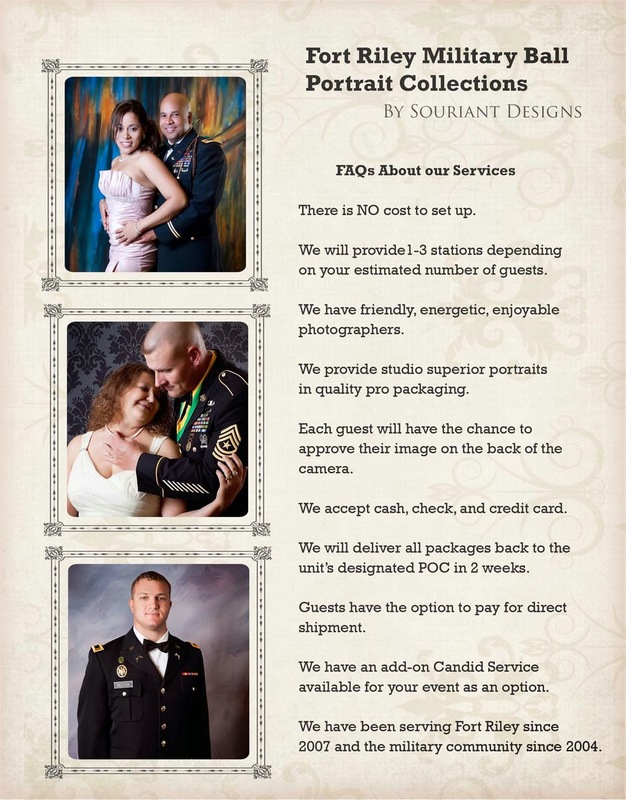 Souriant Designs is looking forward to photographing several Fort Riley Military Balls this upcoming year. It's going to be a fantastic one! With all the great new packages being offered this year there is something sure to please every client. Be sure to BOOK your event today by calling Ali @785.410.0496 Don't wait. We've had the pleasure of working some great venues like the Marriot Courtyard in Junction City, the Hilton Garden Inn in Manhattan, the Manhattan Country Club, the Houston Ballroom, Riley Conference Center, the KSU Alumni Center and the Clarion Hotel which is now the new Four Points by Sheraton. All fantastic venues and wonderful people to work with. Thank you, and it will be a great pleasure to work with you!